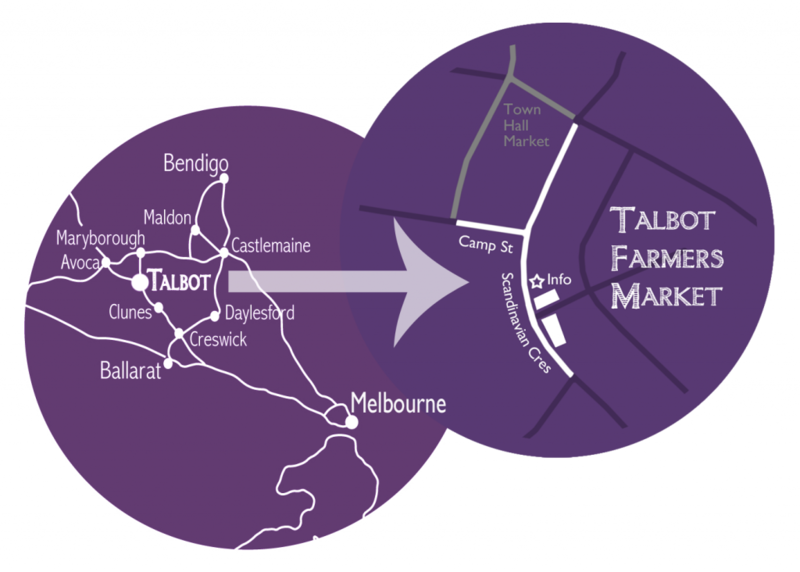 The town of Talbot is located in Victoria’s central goldfields region, just 40 minutes north of Ballarat, or 90 minutes from Melbourne’s Westgate Bridge. The Talbot Farmers’ Market is held in the village streetscape, like celebrated European markets. The beautiful historic precinct of Scandinavian Crescent comes to life on the third Sunday of every month with stallholders lining the street and market goers browsing for local produce and gourmet delights. Talbot is just a short drive from the Pyrenees Wine Region, take a drive, make a day of it or take the whole weekend to explore all the region has to offer.